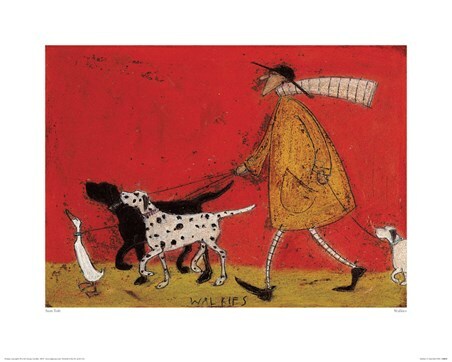 Mr Ernest Hemingway Mustard returns once again and this time he's got a very busy task ahead of him! 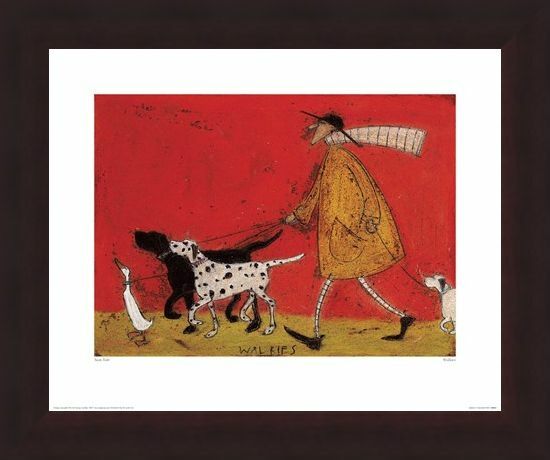 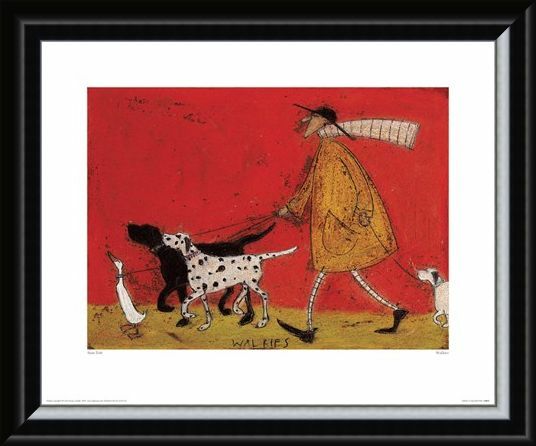 This vibrant print from Sam Toft is set in fiery shades of red and gold and sees the iconic character out for walkies with all his pets. 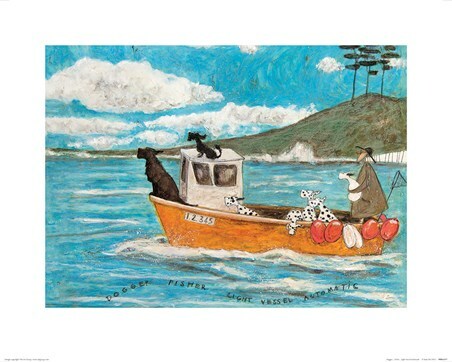 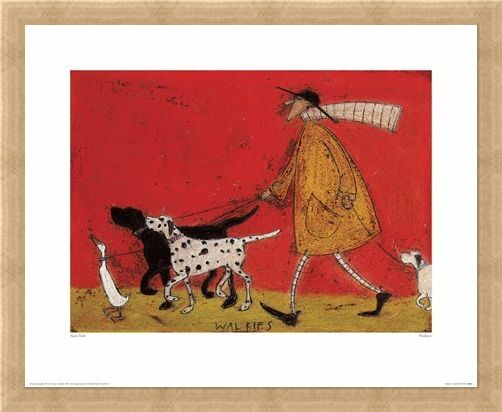 Horace the duck and Hattie the dalmatian march on ahead, whilst the lazy Doris trots along behind - if you're a fan of the work of this talented artist, then this will add the perfect pop of colour to your collection. 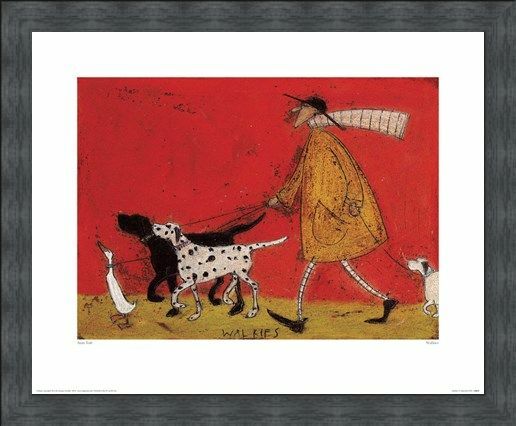 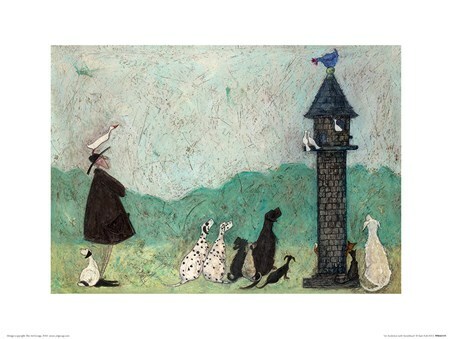 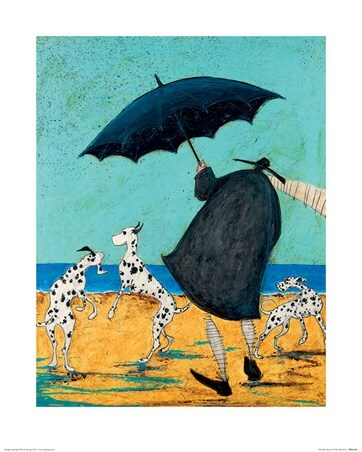 High quality, framed Walkies, Sam Toft print with a bespoke frame by our custom framing service.